Mary E. Mellgren-Crouse, age 85 of Forest Lake, Minnesota, died peacefully Friday, January 25, 2019. Mary was the office manager at Lake Office Equipment in Forest Lake for over 15 years. 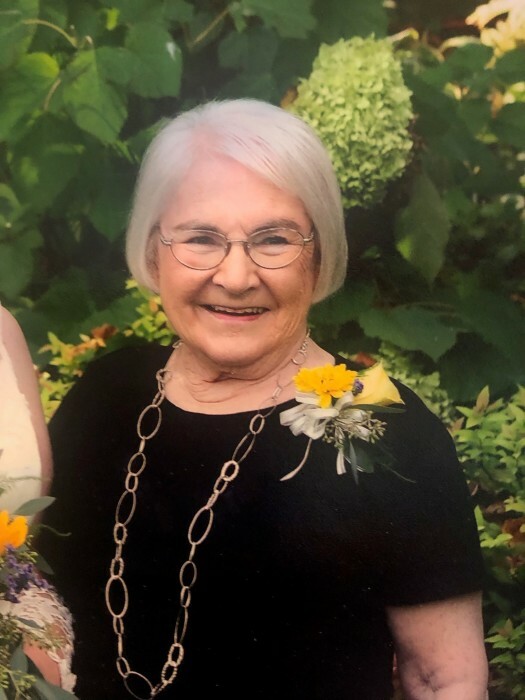 She was a volunteer mainstay of the community, until a week prior to her death, Mary could be found at a variety of organizations giving her heart and soul to better the world we live in. She was a generous contributor to Lakes Life Care Center, Fairview Lakes Auxiliary, St. Bridget of Sweden Baby Blanket program, prison ministries, John Birch Society, Cambridge Pregnancy Center, the Republican Party; both local and state, Forest Lake Senior Center and a member of The Church of Saint Peter. When she was not volunteering she enjoyed time spent reading, playing cards and traveling. Above all, time spent with her family and friends were the moments that kept her young and active. She is preceded in death by her parents, John and Honora McDonald; husbands, Russell Mellgren, Lawrence “Pete” Crouse; daughter, Cathy Hennessey; step son-in-law, Jerry Sanders grandchildren, Melissa Mellgren, Michelle Mellgren, Kaatia Crouse, Zachary Crouse; siblings, Dorothy Richardson Garis, Robert McDonald. She will be forever loved and remembered as a grandma to all, but most of all to her children, Sheryl Mellgren, Susan Mellgren, Thomas (Darlene) Mellgren, Dianne (Guy) Pearson, David (Barb Hansen) Mellgren, Denise (Bruce) Lindberg, Daniel (Debra) Mellgren, Mary Kay (Ben) Lemon; step-children, Laurie (David) Welsh, Lynne Sanders, Larry Crouse III, Lenny (Betsy Olson) Crouse, Lee (Kathy) Crouse; many grandchildren, great-grandchildren; great-great-grandchildren; brother, John (Elaine) McDonald; numerous nieces, nephews, family and friends.